The year 2016 could go down in history as the pivotal year in New York's fight against HIV/AIDS. Nearly 35 years after The New York Times reported the first cases of what would later be recognized as AIDS, New York State is poised to become the first jurisdiction in the world to end its HIV epidemic, even without a cure, by stopping new infections and ending AIDS deaths. Thanks to Governor Andrew Cuomo's leadership, New York State has developed a viable plan that, if fully funded and implemented, will end our AIDS epidemic by the year 2020, and can become a blueprint for all 50 states and Puerto Rico. Now, for the plan to succeed, every New York community must match Governor Cuomo's commitment with renewed energy, support, and action. 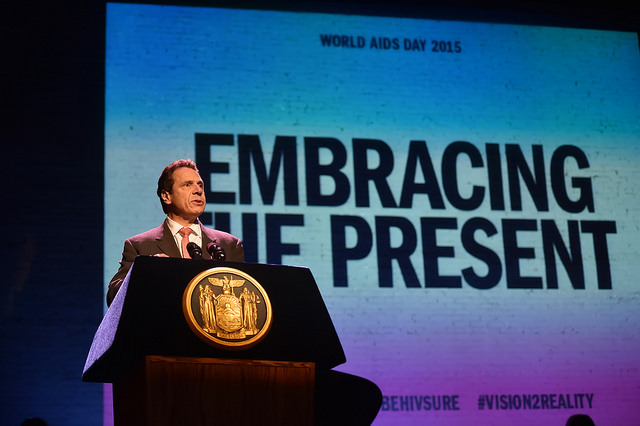 Governor Cuomo launched New York's Ending the Epidemic initiative in 2014 by announcing a three-point plan to expand HIV testing, treatment, and prevention to decrease new HIV infections from 3,000 a year in 2013 to less than 750 by 2020. He pointed out that we have the tools: Current antiretroviral medications can keep HIV-positive persons healthy and stop ongoing transmission of the virus, and, when taken as prevention, they can protect those at highest risk of HIV infection. We now must work to remove barriers to treatment and prevention so all New Yorkers can benefit equally from these advances. These obstacles are also linked to social disparities, including lack of access to health insurance and linkage to care for mental health and substance use, secure housing, and employment opportunities, making it challenging for those living with HIV to receive and sustain treatment. In April 2015, Gov. Cuomo endorsed the Ending the Epidemic Blueprint, consisting of 30 recommendations to achieve the governor's goals as well as seven "getting to zero" recommendations to reach zero new HIV infections, stigma, and AIDS deaths by 2020. I was proud to be a member of the task force of experts from around New York State that created the blueprint. Just last month, the Governor made history again by pledging to include $200 million in additional state funding in his executive budget to fully implement blueprint recommendations. Gov. Cuomo's budget commitment could go a long way to support our efforts to end HIV/AIDS here in New York City, allowing for expanded housing, transportation, and other critical services for our most vulnerable New Yorkers with HIV, as well as treatment and prevention strategies targeted to reach and retain those most in need. Amida Care serves people with HIV every day, and with stable housing and affordable care, our community members can live long and full lives. We also know that better access to new prevention tools—including PrEP (pre-exposure prophylaxis), a daily pill that involves the use of anti-retroviral medication to prevent HIV transmission— has been shown to be over 90 percent effective. At Amida Care, the largest Medicaid special-needs health plan (SNP) in New York State, we have demonstrated the power of providing holistic, accessible HIV and AIDS treatment and care to underserved and often overlooked communities. Amida Care is one of five Medicaid managed care plans selected to participate in Gov. Cuomo's new $2.5 million pilot program to bring 6,000 HIV positive patients into care and provide support to achieve viral suppression. Through our specialized model of care, we have already achieved a viral suppression rate approaching 75 percent among our HIV-positive members. Successes like these save lives and produce much-needed long-term health care savings. But we must continue to push further to end the AIDS epidemic. It is crucial to ensure that Governor Cuomo's new $200 million allocation to end the HIV/AIDS epidemic in New York is fully supported in the final budget passed by the State Assembly and Senate. This wise public investment will improve HIV health outcomes and prevent thousands of new infections, saving both lives and billions of dollars in avoided health care costs. With the governor's budget commitment, we will have the tools, a blueprint, and the resources needed to end our AIDS epidemic. The rest is up to us. There is much work to be done in 2016. But together, by following the governor's leadership and continuing to take action, we can achieve an AIDS-free New York by 2020. Doug Wirth is the president and CEO of Amida Care, a not-for-profit health plan that specializes in providing comprehensive health coverage and coordinated care to New Yorkers with chronic conditions, including HIV and behavioral health disorders. 2. NY vs. AIDS: At an event on World AIDS Day Dec. 1, Mayor Bill de Blasio and City Council Speaker Melissa Mark-Viverito announced the city will spend $23 million a year on a new plan to fight AIDS. The city has seen a 35 percent decrease in the number of HIV diagnoses in the past decade, though nearly one tenth of people living with HIV in the U.S. reside in the city, prompting the mayor to call for increased efforts to “end the AIDS epidemic here in New York City by 2020.” At the same event, Governor Cuomo said he plans to seek $200 million in new AIDS funding in the state budget. 5. Cuomo on Gun Control and Hypocrisy: In the wake of Wednesday’s mass shooting in San Bernardino, California, which left at least 14 dead and 17 injured, Gov. Cuomo once again reiterated the need for Congress to take action on federal gun control. Speaking on Rev. Al Sharpton’s radio show, Cuomo pointed out the hypocrisy of Republicans wanting to close the border to Syrian refugees following the attacks in Paris, while repeatedly blocking the Denying Firearms and Explosives to Dangerous Terrorists Act since 2007. On Friday on WNYC radio, Mayor de Blasio announced he would be moving to push New York City’s pension funds to divest from gun manufacturers. $90,700 a year is the estimated legislative pension former state Assembly Speaker Sheldon Silver is entitled to, despite being convicted on federal corruption charges, the Daily News reports. 3,000-plus New York City police officers have been trained so far in so-called active shooter situations, learning how to move through buildings, with just one partner if need be, as part of a new approach, the New York Times reports. 8 school districts are suing New York State over funding inequities, asking that the court declare current school funding levels “so inadequate” they violate students’ rights, Times Union reports. $90 million in bonds were allotted to the city through the state for funding affordable housing this week, Politico New York reports. 12 communities with limited access to health food have been selected to be part of the new initiative which will build more urban farms, expand school gardens, and establish community-center culinary programs and farmers markets, the Wall Street Journal reports. 2,000 city-owned sedans used by local agencies like the Transportation Department will be replaced with electric vehicles by 2025, in an effort to cut municipal vehicle emissions in half by that time, the de Blasio administration announced Tuesday. It was a good week for Westchester County district attorney Janet DiFiore, who was nominated by Governor Cuomo to replace Jonathan Lippman as chief judge of the State Court of Appeals after Lippman retires at the end of this year. 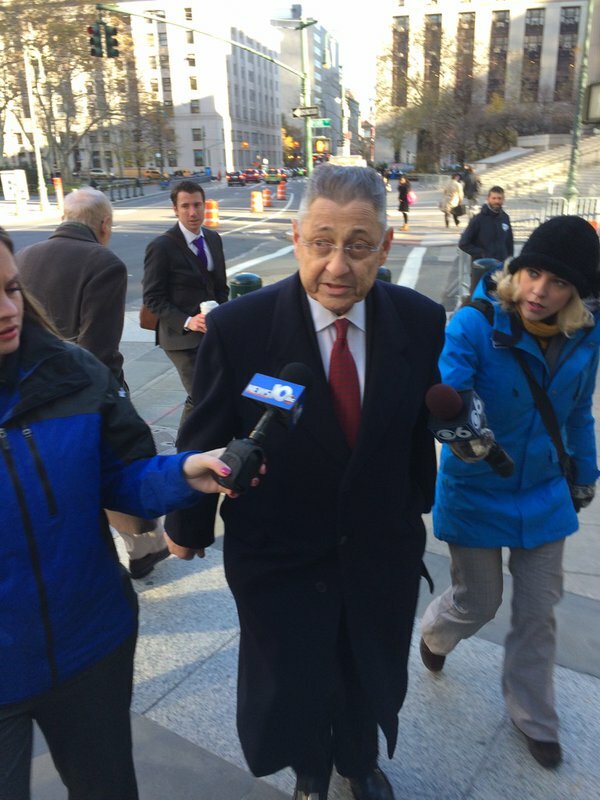 It was a bad week for former state Assembly Speaker Sheldon Silver, who faces decades in prison after being found guilty on all seven counts of federal corruption charges against him. Around this time two years ago, on December 1, 2013, four people were killed and 61 were injured when a Metro-North train derailed in the Bronx after the engineer fell asleep at the controls. 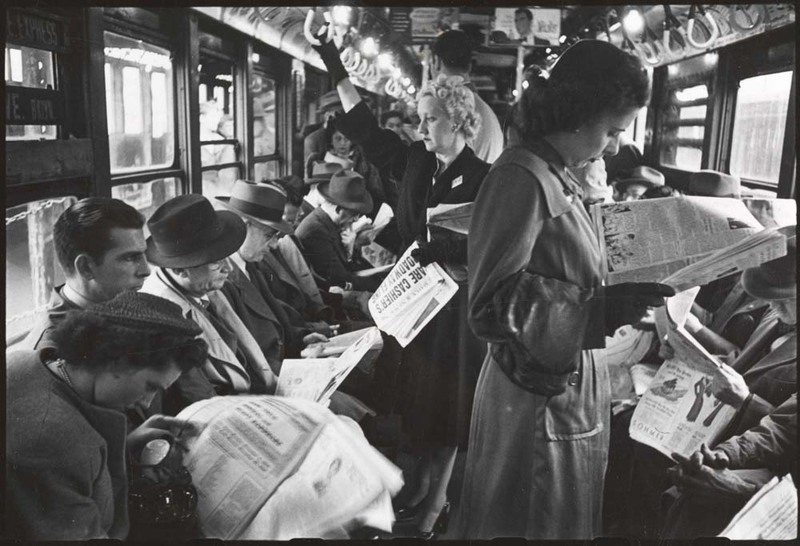 Around this time 60 years ago, on December 1, 1955, commuting became a little easier for straphangers in Queens when the 60th Street Tunnel Connection opened in Queens, which is used today by the R train. Around this time last year, on December 3, 2014, protests erupted in New York City after a grand jury decided not to indict Police Officer Daniel Pantaleo in the chokehold death of Eric Garner. Protests calling for Pantaleo, who is currently on modified duty, to be fired took place once again this Thursday, though NYPD Commissioner Bill Bratton has said his department is waiting for the federal investigation to be complete before proceeding with any administrative departmental action. Mayor de Blasio appeared on the Brian Lehrer Show on WNYC Friday to discuss a variety of issues. On Inside City Hall, Errol Louis discussed the controversy over Mayor de Blasio’s housing plan with Vicki Been, commissioner of the Department of Housing, Preservation and Development and Carl Weisbrod, chairman of the City Planning Commission.